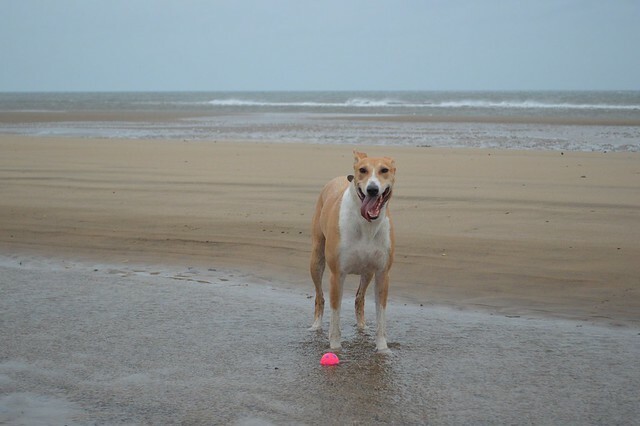 It was a dull overcast morning, and the wind was blowing almost gale like. 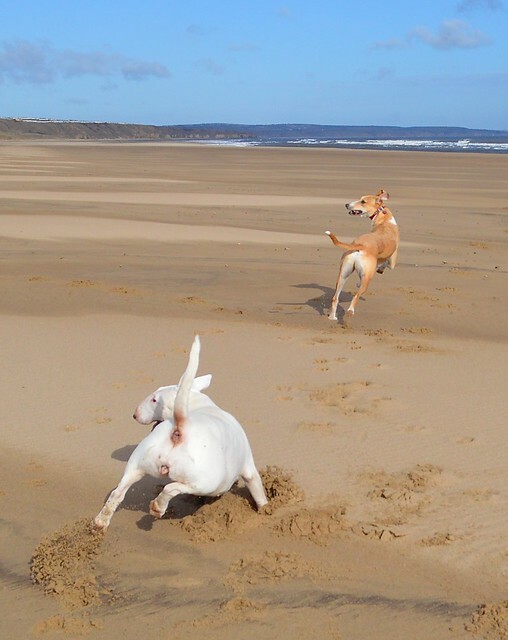 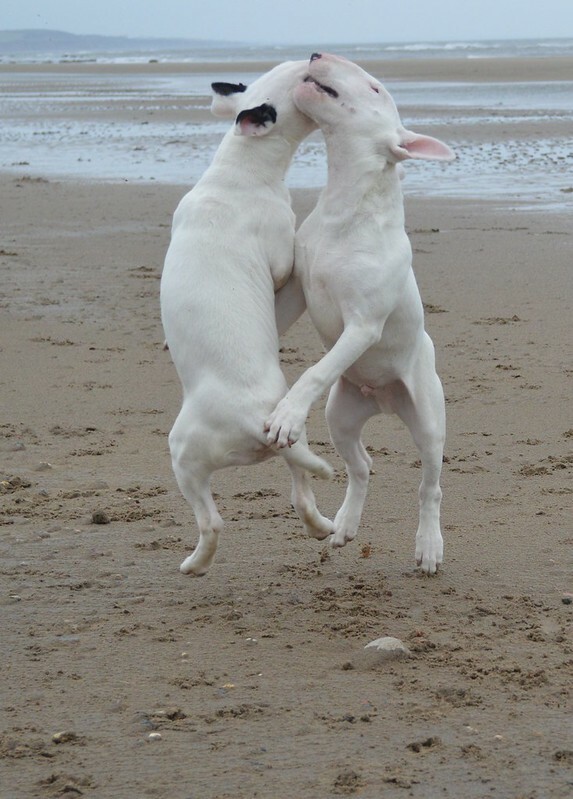 The dogs did not seem to care about the weather though, and they all had a great time running about on the sand. 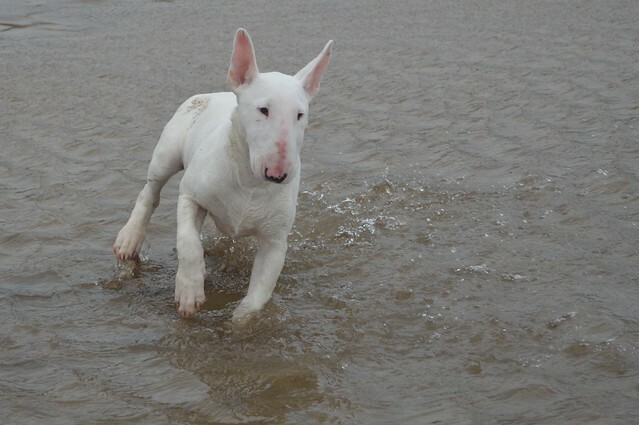 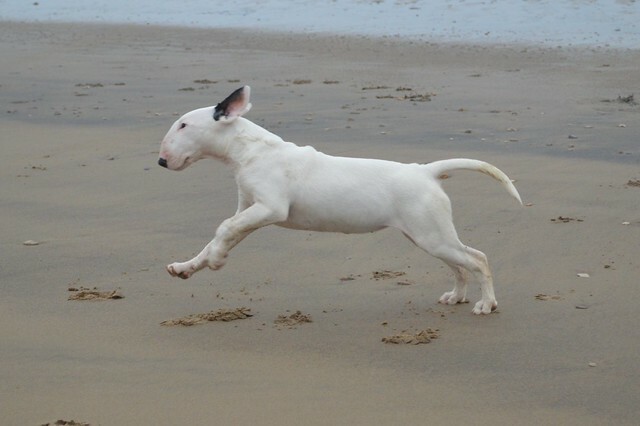 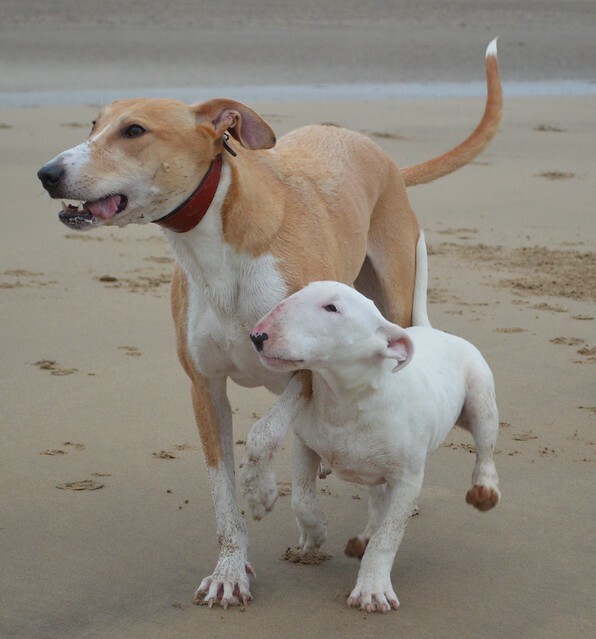 Barley was very popular with the Bull Terrier puppies, they followed him everywhere he went. 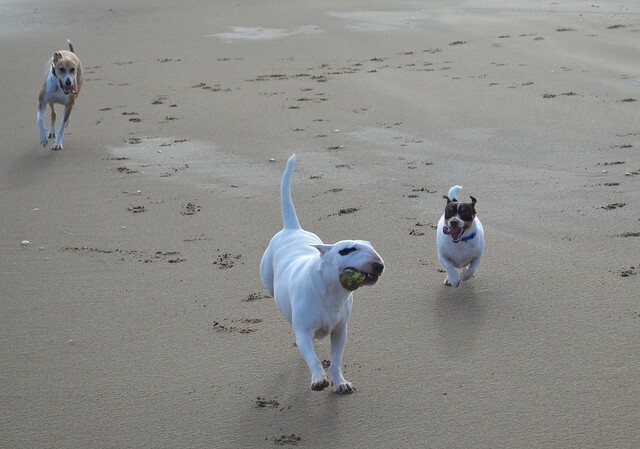 Whenever the puppies got a bit too much for Barley, I’d throw his ball and he’d zoom off along the beach after it. 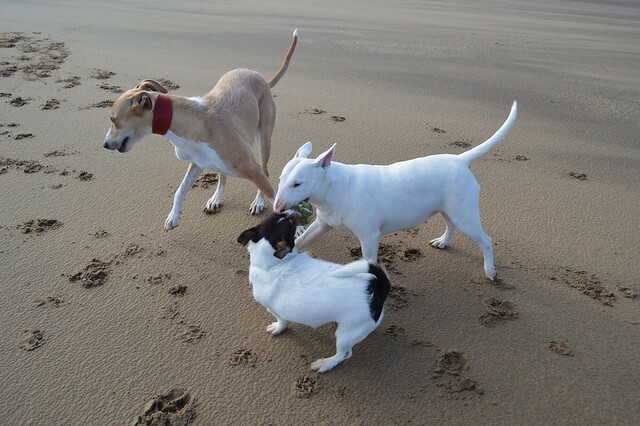 The Jack Russell also got in on the action chasing after the ball, and generally enjoying playing on the beach with the Bull Terrier puppies and Barley. 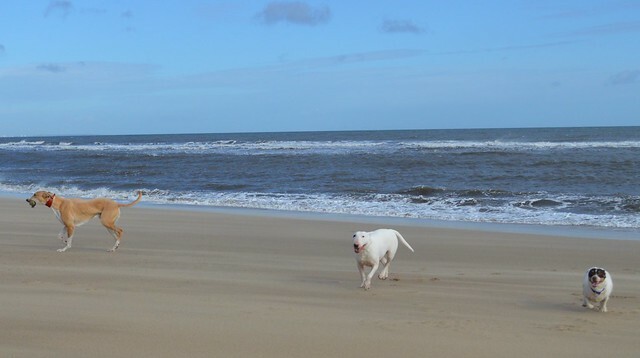 Eventually the windy weather, combined with lots of fresh air and exercise for the dogs, meant we were all ready to leave the beach, so we headed back homeward. 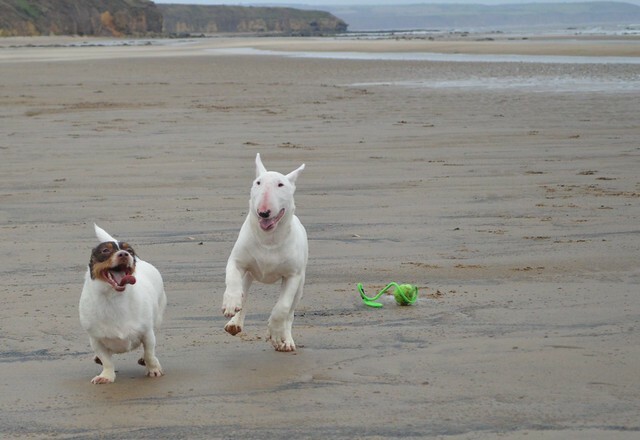 A good morning had by all. 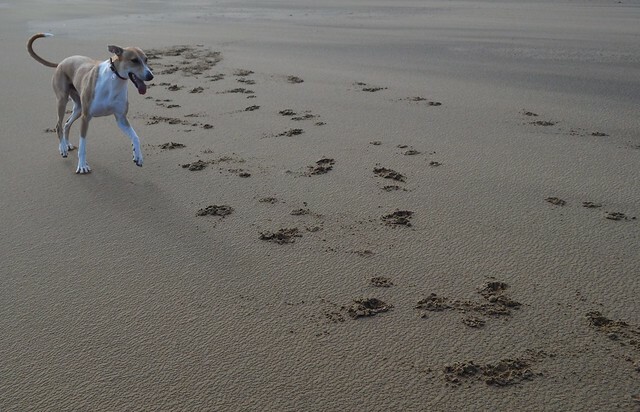 This entry was posted in Barley the Lurcher and tagged Bull Terrier, Crimdon Beach, Jack Russell, Lurcher on February 12, 2016 by Richard. 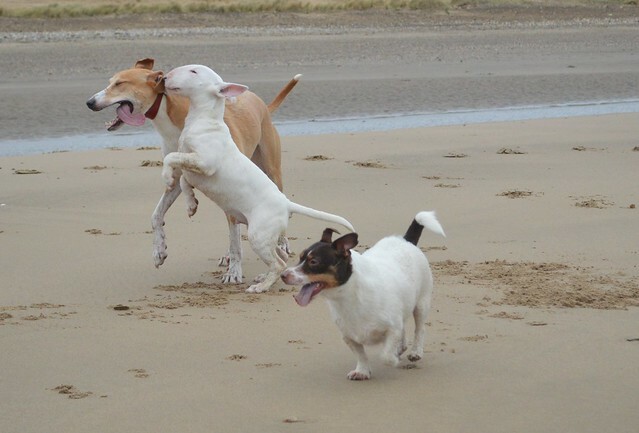 Another day and another trip to Crimdon Beach but this time with 3 dogs. 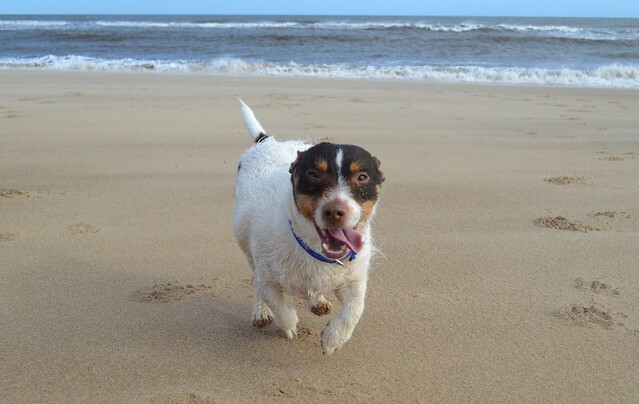 Along for a run this time was Oscar, a rescue Jack Russell (StrayAid, Durham). 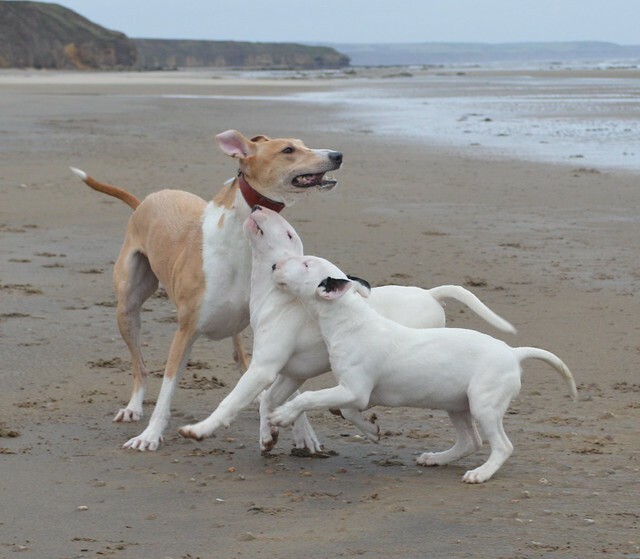 This entry was posted in Barley the Lurcher and tagged Bull Terrier, Jack Russell, Lurcher on April 4, 2015 by Richard.